1. Standard Test Block 1 No. 2. Diamond indentor 1 No. 4. Flat Anvil 1 No. 8. Video Capture 1 No. 9. 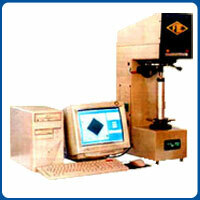 Vicksys software CD 1 No.